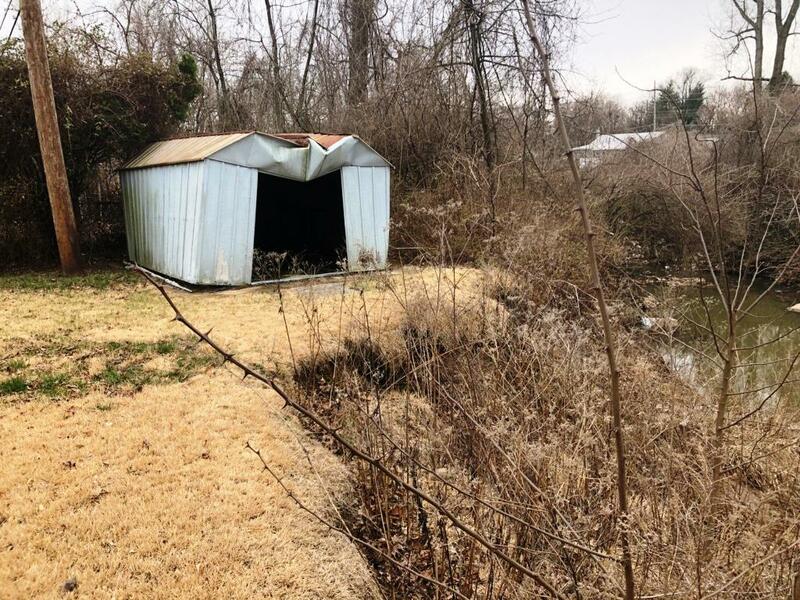 The Metropolitan St. Louis Sewer District is asking its customers to pay a little more for stormwater service in an effort to fix problems caused by erosion. The new fee, which would be based on how much of a property can absorb water, would cost the average homeowner about $27 a year. It’s expected to generate about $30 million to stabilize creek and stream banks and repair the damage, and deal with flooding. Flooding along Maline Creek, in north St. Louis County, is eroding away the yards of homes on Cedarhurst Drive. A proposed stormwater fee would give the Metropolitan St. Louis Sewer District the funds to repair the damage for the first time. Right now, the current stormwater rate covers regulatory functions and repairs to public infrastructure like inlets and manhole covers. If voters approve the increase, which will be on the ballot on April 2 as Proposition S, Hoelscher said, MSD would be able to offer a full slate of services for the first time. This is not the first time MSD has attempted to use an impervious fee to raise money for erosion control. It had one in place between 2007 and 2013, when the Missouri Supreme Court ruled it had to be approved by voters. Hoelscher said the utility took the six years since to look at its stormwater funding mechanisms. In April 2016, voters approved a proposal known as Proposition S that evened out stormwater funding across the region. The new impervious fee, he said, is the final component. Voters have approved several rate increases for both stormwater and wastewater services over the last several years. Local social-service agencies say they have not seen an increase in people needing help with their MSD bills, but the utility’s finance director, Marion Gee, said there are options for customers who are having trouble. The discounted rates are tied to federal poverty levels, Gee said, but payment plans are done on a case-by-case basis. There is no organized opposition to the proposal. In 2016, minority labor groups opposed a bond issue for required upgrades to the utility’s wastewater system because of the way MSD was handling minority contracting issues. But Adolphus Pruitt with the St. Louis branch of the NAACP said that is no longer an issue. The remnants of Hurricane Isaac ended a summer-long dry spell. But for some customers of the Metropolitan St. Louis Sewer District, it meant flooded backyards and basements. For decades, MSD funded its stormwater service with a patchwork of different taxes, which allowed the agency to meet its regulatory requirements. But repairs were a different story. Some parts of the region were flush with cash for capital projects. It took others months or years to accumulate enough funds for even basic repairs. Earlier this year, a state appeals court struck down a potential solution - a fee based on how much water a property could absorb. An appeal to the state Supreme Court is pending. For now, MSD has gone back to its old taxing districts - allowing the lingering problems to get worse. Updated at 4:30 p.m. with comments from MSD.. The Missouri Supreme Court has ruled that the Metropolitan St. Louis Sewer District needed voter approval when it changed the way it funded storm water service. Customers of the Metropolitan St. Louis Sewer District will see their bills go up after the election on Tuesday. By how much, and when, depends on the outcome of two ballot initiatives. MSD is a wastewater and stormwater utility rolled into one. The services are funded through different revenue streams - hence the need for two different proposition.